History Completed in January 1934 as French Charles L.D. for Louis Dreyfus & Cie, Dunkirk. In 1940 operated by the Vichy French government as Procyon. On 23 Mar, 1941, the Vichy French Charles L.D. was captured by HMNZS Leander (75) (Capt R.H. Bevan, RN) between Mauritius and Madagascar. 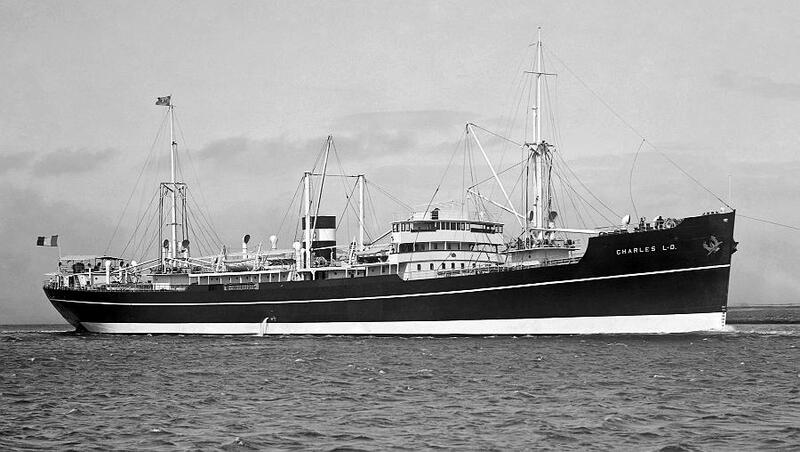 The ship was brought to Mauritius and taken over by the Ministry of War Transport (MoWT). At 09.10 hours on 9 Dec, 1942, the Charles L.D. (Master Diego Emmanuel Canoz) in convoy HX-217 was torpedoed and sunk by U-553 about 405 miles east of Cape Farewell. 34 crew members and two French gunners were lost. The master and eleven crew members were picked up by the British rescue ship Perth (Master Keith Williamson, OBE) and landed at Clyde on 13 December.